This week, I am giving over my blog to the author, A. L. Butcher who runs the excellent Library of Erana website, which, among other things, showcases writing talent and has featured interviews with me on two occasions. 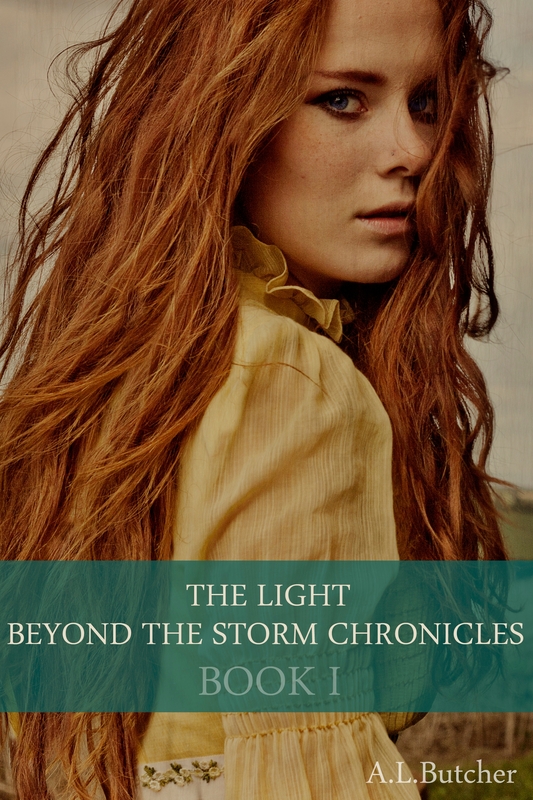 Welcome to A. L. Butcher (Alexandra); author of The Light Beyond the Storm Chronicles. Hi Alexandra, thank you for agreeing to this interview. Tell us a little about yourself and your background? Hi, and thanks for the interview. Let me see, I am British author of fantasy, fantasy romance and poetry. I’ve been writing stories for as long as I can remember. Aside from the writing and reading I like science, history, astronomy, gaming and movies. Rebellious 😉 I was raised to be individual, to stand up for my beliefs and to question things. This caused problems, especially with rules I saw as a bit…. pointless. Lessons I liked I was happy to attend, the boring ones – well I guess I was a pain to teach. (Sorry). I actually co-led a student rebellion at college (high school to the Americans). There were several issues with the management of the college – and I mean pretty serious issues such as alleged fraud and misdemeanours of that nature… Anyway I was vice president of the Students’ Union and we had a tiny rebellion….a sit in – and press coverage etc. We actually had the support of some of the teaching staff, the National Union of Students and a proportion of the student body. Other than that I worked hard at the subjects I liked, but I was always a bit of a loner and considered a bit weird. Yes. I loved English Lit and Language and went on to study English Lit at college. Because I enjoy it, because I have stories to be told and because it keeps me sane (ish). 4. What fascinates you about fantasy? Fantasy is such a versatile genre. Anything can and does happen. More than that it is at the root of our culture – think of all the influences. I’m English and our patron saint is St George, he of the dragon slaying. Britain has a rich culture when it comes to fantasy, folklore and magical beasties. We have fairies, wizards, dragons, heroes, magic swords, mermaids, giants, goblins, elves and so much more. I love the lore, the worlds and the freedom the genre brings, and I love the storytelling of mythic tales of heroes and monsters. 5. Who is your favourite author and why? Just one? I doubt I could pick one. Fantasy – Tolkien, Janet Morris, Homer, Terry Pratchett, David Gaider, Mary Shelley. Historical/classics – Ellis Peters, Philippa Gregory, Dumas, Victor Hugo, the Brontes, HG Wells, Jules Verne. I love the stories they tell. In many instances these authors were pioneers in their genre, or at least broken new ground. Anything that can still be read over and over and often years later is a masterpiece. 6. When did you write your very first book and what was it about? The first actual book is under my bed, in several notebooks. It is/was a Phantom of the Opera story. I dare say it will stay where it is. 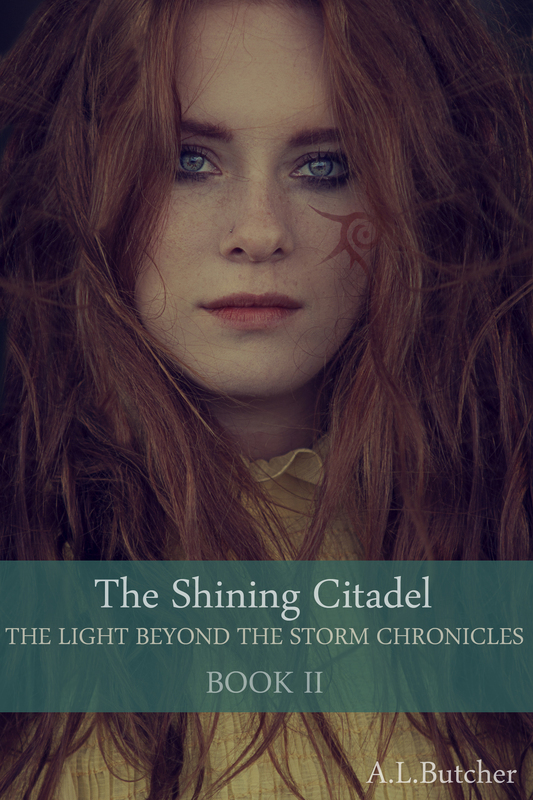 The first fantasy – the first book in the Light Beyond the Storm Chronicles was published in 2012. It sprang from something else I’d written. Book I is the story of an elven sorceress in a world where magic is illegal and elves live as slaves. Once she escapes from her wicked master she has to find a way to survive and to help discover the plight of a missing elven child. 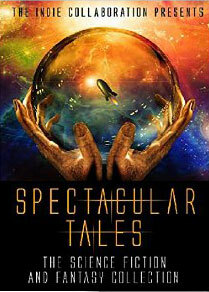 It’s a story of courage, self-discover, inequality, hardship and heroism set in a dark and dangerous world. The later books follow this elf, Dii and her friends as they seek to right injustice and find freedom. 7. How much research do you do? I’ve researched herb-lore, medieval weapons, castles, swamp and forest flora and fauna, recipes and quite a bit more. Oh gosh, another long list.  Wuthering Heights, Lord of the Rings, Soul Music, I, the Sun, Watership Down, War of the Worlds, Schindler’s List, Chronicles of Narnia, Les Miserables, Phantom of the Opera, Dracula, Frankenstein. I’ve just started Oblivion’s Forge by Simon Williams. So far it’s very good. 10. Do you write full-time or part-time? I have a day job, so I only get time to write in the evenings and at weekends. I’d love to be able to write full time but I need to pay the bills. 11. Any tips on how to get through the dreaded writer’s block? Read, watch a movie, try and write something else. I find ideas come from other ideas. I have a folder filled with half-ideas and random scribbles, sometimes I look through that and an idea pops up. If it doesn’t then it doesn’t. If you have to force yourself to write then likely as not what comes out won’t be very good. It is OK to go and do something else for a while. 12. 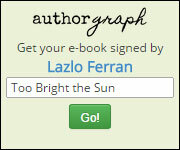 Are there any new authors that have grasped your interest? I’ve just released a short story – Tales of Erana: The Warrior’s Curse which is a tale within a tale of heroes, monsters and dark magic. I’m working on another short story about a desperate elf and the simple farmer who helps her. I’m also working through Book III of the Chronicles – aiming for release in spring 2015. 14. Name one entity that you feel supported you outside of family members. My friend Diana has been my rock. She’s my sounding board for ideas. 15. Who designed the covers? 16. What is your latest book? 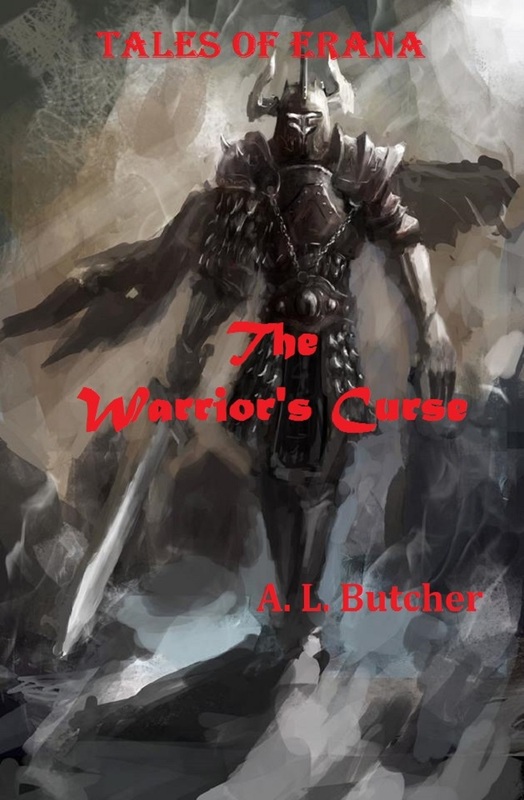 As I’ve said Tales of Erana: The Warrior’s Curse is the latest release. Keep writing. Treat people the way YOU want to be treated, if you’re a jerk in your social media then expect the consequences. There will ALWAYS be someone who doesn’t like your book – it happens, move on and don’t respond to the reviewer. 18. How can readers discover more about you and you work?